In a dim room draped with sheets, water steadily drips into dozens of half-filled jam jars, illuminated as if from within. This is the momentorium, where memories bleed from the architecture. It’s in this oddly magical space that the stuff of lives accumulates, a constant trickle of joy and excitement that the room’s keeper collects and orders with gentle fervour. 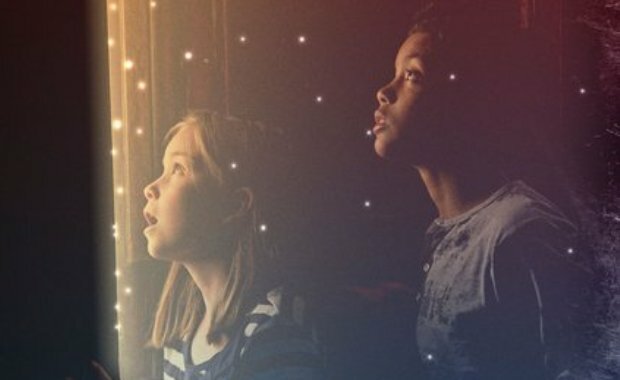 It’s a pause of gasp-inducing beauty, an enchanting lull in the gloriously silly pandemonium of the Battersea Arts Centre’s new children’s show. This one room among many, created by Kirsty Harris and Matthew Blake, is an exquisite reminder that art created for young eyes can be just as captivating and contemplative as its adult counterpart. Leading its participants through the labyrinthine corridors and hidden spaces of BAC, itself already a gorgeous if slightly crumbling-round-the-edges building, the Young Adventurers strand of The Good Neighbour offers a peek into historical and fictional worlds, a journey that takes us into a series of carefully crafted scenarios. The purpose of this romp around the building, an adventure aimed at children aged between 6 and 12 but one that should be prescribed for big kids of all ages (especially those with a streak of cynicism), is to retrieve the story of George Neighbour, a real inhabitant of Battersea at the beginning of the 20th century. Carved off into small groups, audience members are all handed this quest, to be undertaken with the rest of our team and with the help of a guide. Each of the rooms contains clues, but they are also miniature theatrical scenarios in their own right. Sheila Ghelani’s piece asks us to participate in the simple, tender activity of wrapping a gift to give to a stranger, while the quivering branches of Ruth Paton’s tree seem to breathe with us as we lie on the floor and float on collective dreams. In Coney’s meeting room, the grey, grown-up solemnity of the agenda and the in-tray clashes with jokes told through stifled giggles. Asked what happiness feels like, I’m startled by the imagination and eloquence of the kids in the room, while I mentally fumble for hackneyed phrases. What the piece is really best at is giving its young audience members the permission to be silly and creative and goofy without having to feel embarrassed. This is exemplified by Bryony Kimmings’ offering, a story about an exploding room that is really just a vehicle to free us of our inhibiting self-consciousness. Urged on by Kimmings’ flame-singed, glitter-decked figure, participants stage their own explosion, grotesquely contorting faces, limbs and voices in an eruption of silliness. The words “laughter is the best medicine”, written inside a butterfly-lined cabinet, are a fitting subtitle for the piece. Messages of teamwork, inclusion and mutual support – quite literally being a good neighbour – are lightly threaded through the afternoon, but at its core it is a celebration of imagination, creativity and the sheer exhilaration of being silly. It’s a love letter to the undervalued power of play, both play as performance and play as game-playing, activities that are of course intrinsically linked. It is also something of a love letter to the beautiful space of BAC itself, a space as drenched in human history as the momentorium. In its myriad corridors, tattooed with the footsteps of the small and the not-so-small, past, present and future all meet in moments of laughter and community. The Good Neighbour is at Battersea Arts Centre until 4th November. There are also two other journeys, one for under 5s and one for bigger explorers.